People whith high cholesterol levels should consider a cholesterol lowering diet instead of a “low cholesterol” diet. This is true because there is more evidence that dietary cholesterol has a lower incidence on the total blood cholesterol level, it’s a balanced diet and a healthy lifestyle that will help you control your blood cholesterol. The Mediterranean diet is not a “diet” per se….with this term we identify the traditional eating patterns of people living in countries bordered by the Mediterranean sea (Italy, Spain, Greece, Morocco). 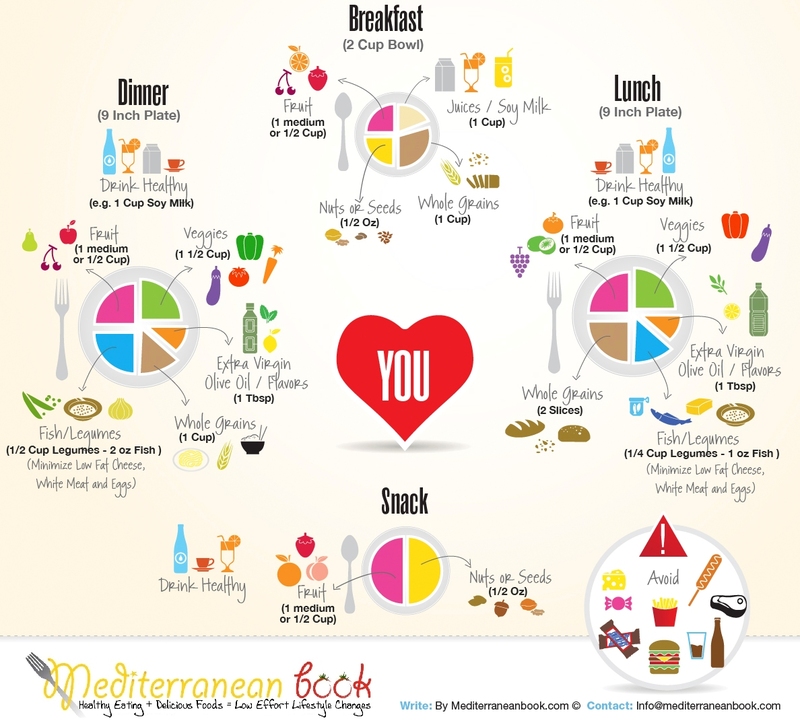 Research has shown that the traditional Mediterranean diet reduces the risk of heart disease. In fact the Mediterranean diet has been associated with a lower level of oxidized low-density lipoprotein (LDL) cholesterol — the “bad” cholesterol that’s more likely to build up deposits in your arteries. More and more studies and researches have showed that the Mediterranean way of eating is the best way to lower cholesterol levels…infact the Mediterranean diet is ranked among the top #10 heart healthy diets. The staple of the Mediterranean diet is to eat whole foods mostly plant based like fruits, vegetables, whole grains, olive oil, nuts, legumes and a lower percentage of animal foods (mostly fish). According to the Lyon Diet Heart Study subjects following the Mediterranean-style diet had a 50% to 70% lower risk of recurrent heart disease.